Eight categories of innovative technologies together with a monitoring control tool and decision support system (DSS) are being integrated and demonstrated in the demonstration site. 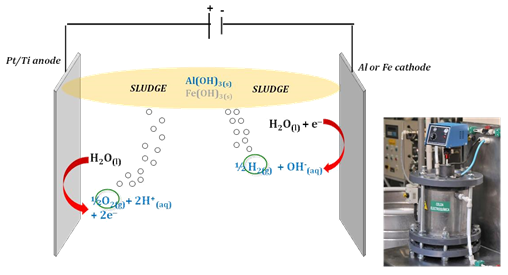 In this Advanced Oxidation Process (AOP) hydroxyl-radicals are used to degrade complex and persistent organic molecules which present in the water as contamination. 172nm UV directly attacks different pollutants and it’s able to break down resilient and harmful molecules. For more information: please check the factsheet. 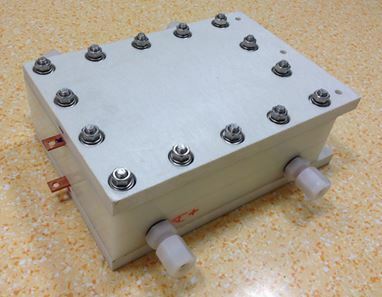 The Electrochemical Ozonation technology uses electrodes coated with boron doped diamond which produce an oxygen-ozone mixture with higher ozone concentration than can be achieved with conventional gas discharge ozone generators. The ozone is produced in the wastewater and therefore directly and perfectly dissolved in it. Less apparatus is involved when compared with conventional ozone generators and there is no need to provide an oxygen feed line. Different concentrations of pollutants pose no problem as integrated measuring/control system makes the system energy-efficient and ensures continuous operation. Electrocoagulation-flotation (EC-EFl) is an electrochemical process used as an alternative to conventional coagulation/flotation processes. In this advanced technology, coagulum agents are generated through electrochemical oxidation of sacrificial metallic plates (e.g. iron or aluminium) used as anodic material (Equation 1). Obtained Fe(II)/Fe(III) (Equation 2) or Al(III) precipitate with hydroxide ions (Equations 3 and 4) generating coagulum particles which destabilize and adsorb water pollutants by surface complexation or electrostatic attraction. Pollutants are removed by sedimentation or electro-flotation producing bubbles of hydrogen gas at cathode surface (Equation 5). Plimmer® is a non-Membrane technology which treats ground/surface water to drinkable standards. It requires very low pressure and results in low power consumption. It reduces water wastage since water is not pushed into a membrane under high pressure. This technology has 12 patents in terms of number of electrodes, coating on electrodes and electronics required to handle the process and no chemicals are required for treating water. Electrodes require just 1.6 V charge to operate – providing an option to run on alternative energy sources (e.g. solar). Depending from model of Plimmer® salt reduction vary from 65% to 95%. The values refer to a conductivity input of 400us. Salt removal percentage decreases with increasing the conductivity of the water inlet and vary with the types of salts dissolved in it. 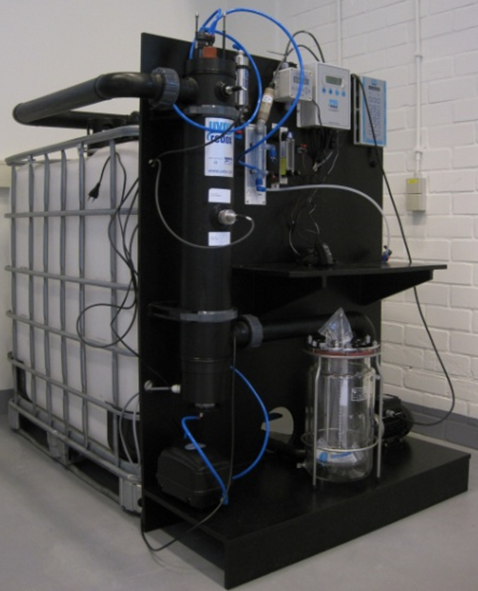 Membrane bioreactors (MBR) are a consolidated technology for biological treatment of industrial and municipal wastewater. They guarantee high water quality which has led to a growing demand for this technology, especially in areas where water is scarce and its re-use must be prioritised. The main MBR disadvantage is membrane fouling. Its minimization can be achieved by supplying air and incorporating backwashing cycles or relaxation modes to clean the membranes, actions that significantly increase operating costs. Smart Air MBR® is the only product on the market that effectively reduces the energy costs associated with MBR air-scour according to the online monitoring of permeability, and places it in an excellent competitive position. Please Click here for further information on further information on Smart Air MBR, or check the factsheet. Since Fe2+ can be regenerated from Fe3+ reduction at the cathode and due to solar radiation (solar photo-Fenton process), Eq. 2, it can be propagated due to the catalytic behaviour of the Fe3+/Fe2+ system. 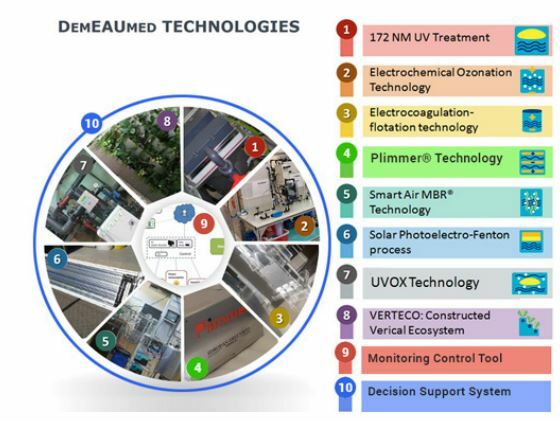 The UVOX-Redox technology combines the oxidizing effect of ozone with the disinfecting effect of ultraviolet light and initiates meanwhile a highly effective advanced oxidation process (AOP) in one single system. The swimming pool of hotel Samba has a volume of about 620 m³ of chlorinated pool water. 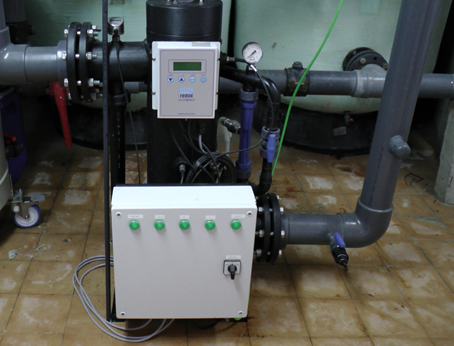 Wapure International GmbH was the first one to install the UVOX-2000 System for the purification of the swimming pool water of Hotel Samba in April 2014. 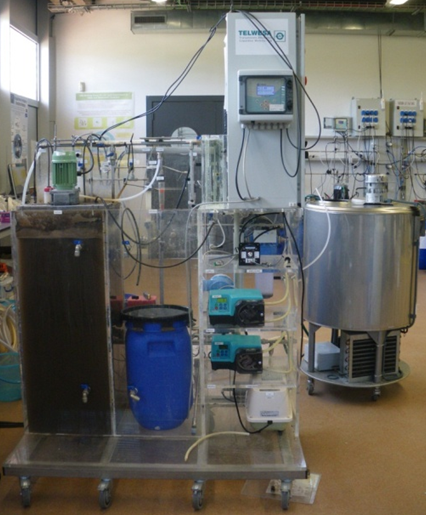 The aim of this project is improving the water quality by meanwhile saving cost of operation. Depending on the treatment objectives the UVOX 2000 is designed to treat 20 - 70 m³ of chlorinated pool water per hour. The Advanced Oxidation Process (AOP): The ozone in the water is converted into the highly reactive OH radicals. 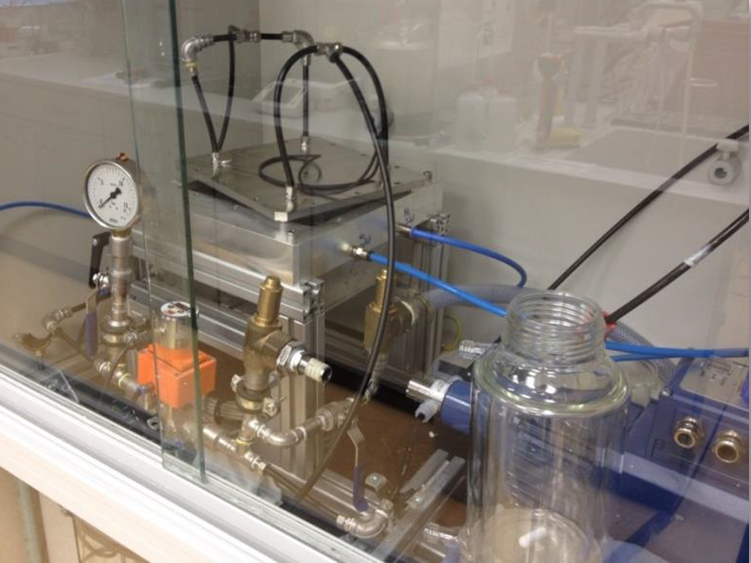 In addition hydrogen peroxide will be injected into UVOX reaction chamber by means of a dosing pump. UV-Disinfection: Very effective killing rate (up to 99,99 %) of germs and pathogens is generated by means of UV irradiation. Demonstrating the competitive edge of the UVOX water purification system. UVOX improves the water quality and reduces the costs of operation (saving water, chemicals and energy). 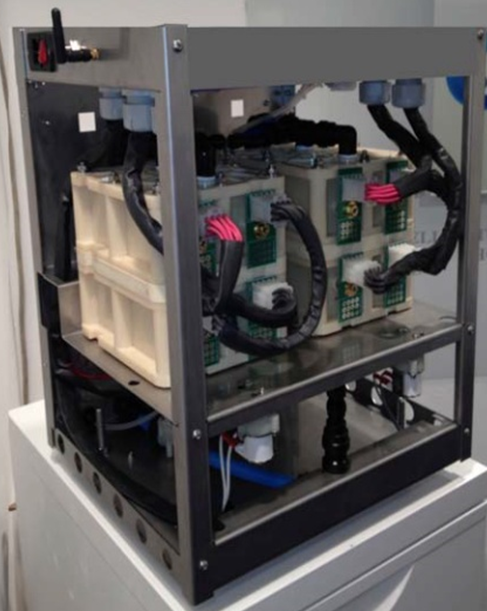 - The UVOX System takes over the disinfecting function of chlorination, resulting in less usage of chlorine and other additional chemicals such as pH correction. - The UVOX System generates the advanced oxidation of a variety of persistent substances such as body fluids, Nitrites and several DBPs such as: Trihalomethane: (Chloroform, Bromodichloromethane, Dibromochloromethane, Bromoform), Haloacetonitrite: (Dichloroacetronitrile, Bromochloroacetanotile, Dibromoacetonitriel, Trichloracetonitrile), Inorganic: (Free chlorine, Monochloramine, Combined Chlorine.) Misc. BDPs: (Trichlorinitromethane, Dichlroropropanone, Trichloropropanone, Chloral Hydrate.). This technology treats grey water through an indoor vertical constructed plant-based wetland. The underlying principle is the employment of certain plant species in a special sequence for cleansing of the polluted water, grey water in this case; hence, improving the water quality which enables a reuse of the treated water. The investigated plant species function in symbiosis with rhizosphere specific microorganisms providing intrinsic water cleaning abilities. For the constructed plant based wetland, a vertical set-up is employed combined with a subsurface horizontal flow. 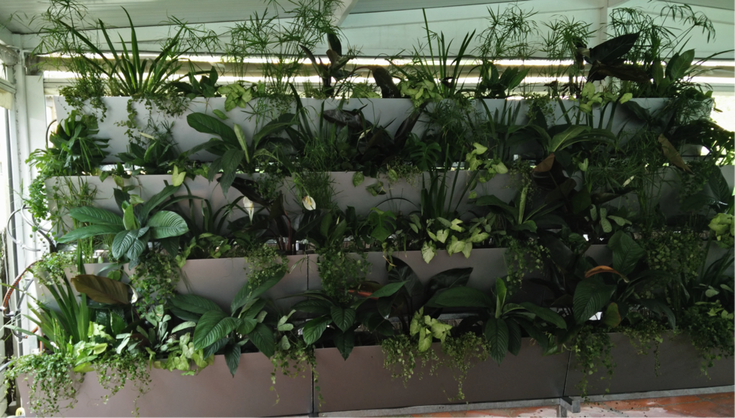 An approach with a green wall unit with three meters length employed for a grey water pollution level of tourist facilities revealed already very promising results.